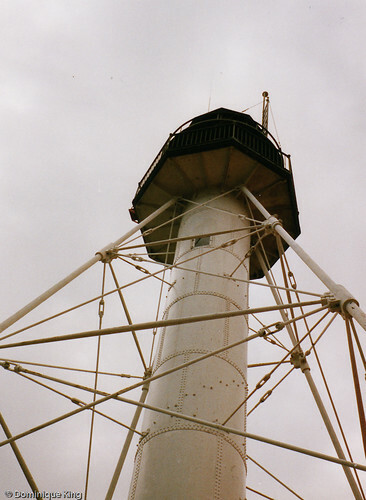 A Tale of Two Lighthouses: Crisp Point and Whitefish Point-I've been to a number of Great Lakes lights, but this breathless account of Sally's adventure at two remote lighthouses in Michigan's Upper Peninsula reminded me that, while we've visited Whitefish Point in the past, visiting Crisp Point is still on my bucket list. Check out her story at the always entertaining Unbrave Girl blog. Classic American Road Power-Uke's Harley Davidson-This Harley dealership/museum in Kenosha, Wisconsin is definitely on our bucket list! Keith Ulicki opened the first Uke's in 1930, and his family still owns the dealership, Wisconsin's oldest. Check out Tony's story about this motorcycle enthusiasts' Mecca at The Walking Traveler blog. Classic Car Collection: Kearney, Nebraska-With more than 200 vehicles, there is plenty to see at this classic car museum in Nebraska. Cool cars make for a cool and interesting stop if you're driving along I-80 says Sara. Check out her story about the museum at the Travels with Sara blog. 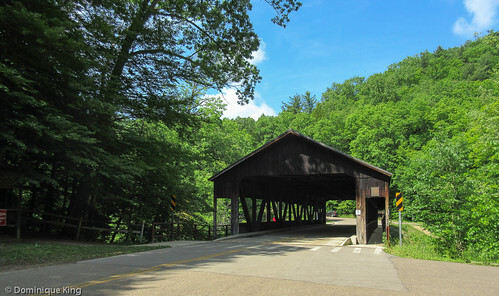 Lincoln Highway provides history and sites and Iowa-We love the Lincoln Highway, the first transcontinental highway in the United States, and enjoyed exploring it through Ohio, Indiana, West Virginia and parts of Illinois and Pennsylvania. I especially enjoyed parts of and a few notable stops in Iowa like the hometown of actress Donna Reed and the historic Harrison County Courthouse. 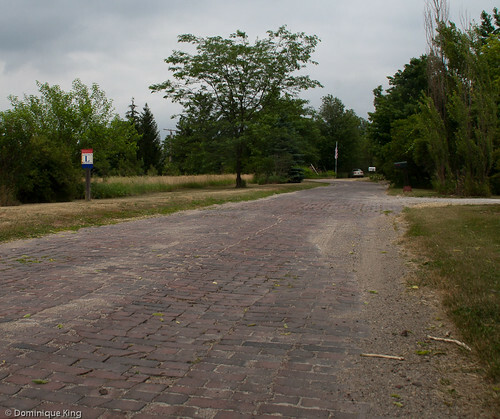 Check out Tim and Lisa's story about this legendary road at The Walking Tourists blog. 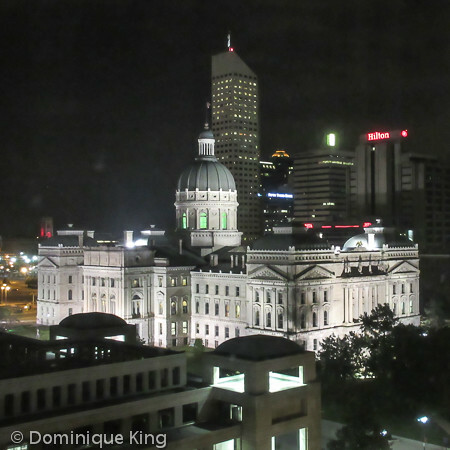 A Perfect Weekend in Indianapolis-We enjoyed our visit to Indianapolis earlier this summer, but Maya and Michael offer a few ideas for more things we should check out next time we visit Indy. I particularly liked seeing images of the city's cool vintage Indianapolis Central Library, the Indianapolis Motor Speedway Hall of Fame and this couple's picks for local shopping. Check it out at the VisuaLingual blog. 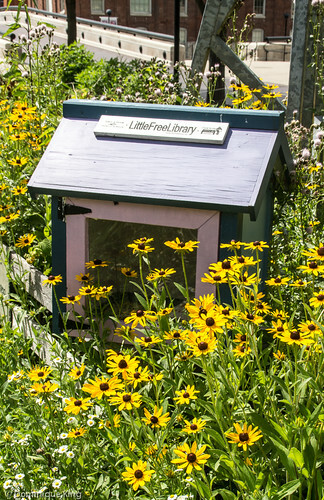 What I Found in Indy-I like Max's approach to seeking out some of the more hidden treasures like the Slow Food Garden in Indianapolis' White River State Park and cool urban initiatives like a booth allowing visitors to send a postcard from Indy free of charge! 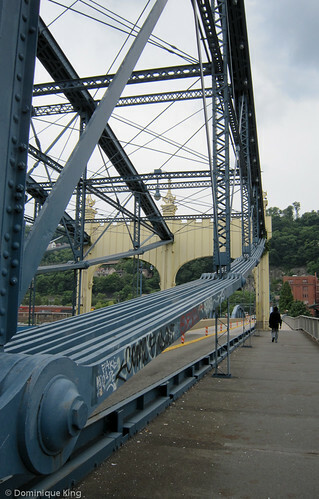 Check out his story at The Urbanologist blog. Downtown Wooster: A City Full of Surprises-I like nice surprises, and the small town of Wooster, Ohio looks like a good place to experience pleasant surprises. We've driven through Wooster, but we've yet to visit it and stay a while. We hope to remedy that and experience some surprises on our own soon. Meanwhile, I enjoyed getting a peek at the town and the nearby Lehman's Hardware store, which several people have suggested as a must-visit for Tim and me. Check out Tonya's story at The Traveling Praters' blog. The white squirrels are (almost) everywhere in Olney, Illinois-Albino squirrels are everywhere you look in Olney. Their images adorn police cars, city welcome signs, trash bins, shops and more in town, but Scott had a little difficulty in finding a real, live white squirrel in town. He finally achieved success in his search after reminding himself to "Think like a white squirrel!" (hey, the same tactic sometimes works for me when I'm searching for a misplaced item--"if I were a set of keys, where would I be?"). Check out Scott's search and success story at the Quirky Travel Guy blog. Missouri Family Vacation Ideas-Adam shows folks plenty of family-friendly ideas for kid-pleasing fun in the Show Me state, ranging from world-class museums to outdoor activities to dining ideas and more! Check it out at his Visit Flyover Country blog. 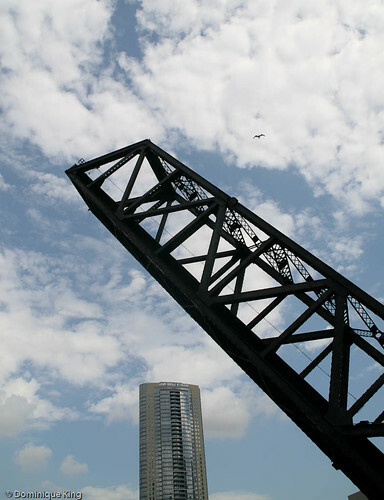 88 Counties in Ohio=88 Things to Do!-Check out this killer list of things to do in Ohio that includes one fun attraction, dining option or historical site for every one of the 88 counties in the Buckeye State. Check out the list at Mike's OHventures blog. Mike even helpfully reproduces the list arranged by region of the state. Capturing the Colorful Holland Tulips of Spring-Aaron shares a sure sign of spring in Michigan with images of the colorful tulips in Holland in the western part of the state. Check it out at the Awesome Mitten blog. Also be sure to check out Aaron's coffeehouse and travel adventures on his own The Adventures of elATLboy blog. 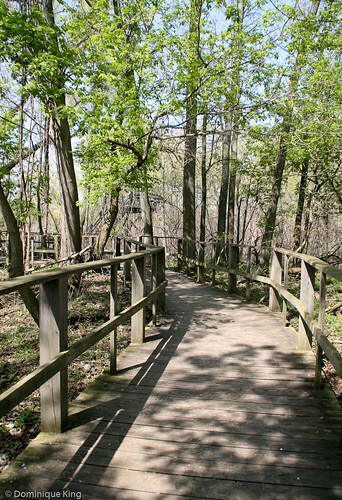 Magee Marsh during the "Biggest Week in American Birding" 2015-We've visited this birder's paradise on several occasions to simply take a walk or capture a few images of the wooded boardwalk trail near Lake Erie in Ohio, but we've yet to venture here during the legendary Biggest Week in early May. Deb captures the beautiful birds and the crowds that they draw to this northern Ohio spot on the TrekOhio blog. Golden Spike Tower: Visiting the World's Largest Rail Yard-This site in North Platte, Nebraska marks the midpoint for the Union Pacific trains running from Chicago to Salt Lake City or from Denver to Omaha, but it's so much more than simply a place for rail buffs to spend hours on end watching the trains. Join Connie as she visits the site to learn about the trains and their history. She also captures a few bird's-eye-view images from atop the observation tower. Check it out at the Midwest Wanderer blog. 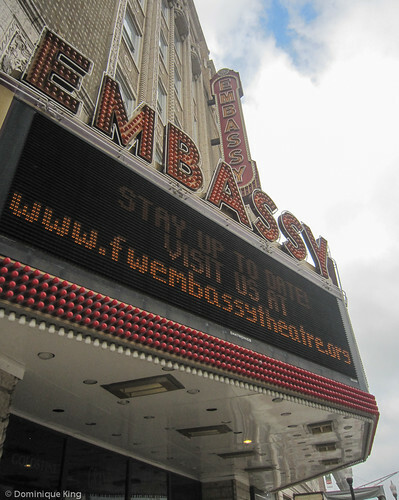 Positively the Jewel of Joliet-I love classic old theaters like the Embassy in Fort Wayne, Indiana and the Warner Theater in Erie, Pennsylvania that have great histories as vaudeville, movie and live performance houses, and I loved Maureen's story about the Rialto Theater in Joliet, Illinois. Built in 1925 and justly called the "Jewel of Joliet", viewing the theater's opulent interior reportedly had Liberace saying "...finally, a theater to match my wardrobe!" Seeing the Rialto is going on my Midwest bucket list! Check it out at the Positively Tuesday blog. Ephemeral City: Marbles-Check out John's story about a memorable marble championship in Kansas City, Missouri. Imagine a city-wide marbles contest that drew a crowd into a municipal arena and featured contestants with monikers like Stinky, Knucksy and Mouse. It all happened in 1941, and you can read about it at the Paris of the Plains blog. 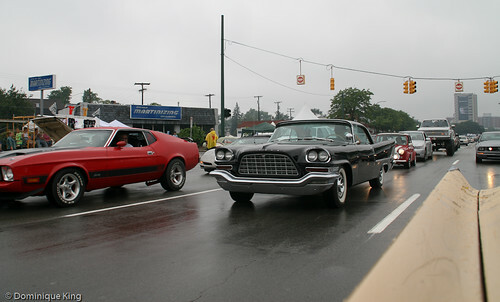 At Your Leisure: Summertime Cruisin'-Cruisin' is pretty big here in the Detroit area, especially during the weeks leading up to the Woodward Dream Cruise, an event billed as a one-day celebration of car culture that inevitably turns into weeks of weekend cruising along the Woodward strip. It appears like Indianapolis had a similar cruising culture complete with drive-in restaurants like The Tee Pee, which served Big Chief burgers (our version on Woodward was called the Totem Pole and served up...you guessed it...Big Chief burgers!). Check out Jeff's story on the Historic Indianapolis blog. 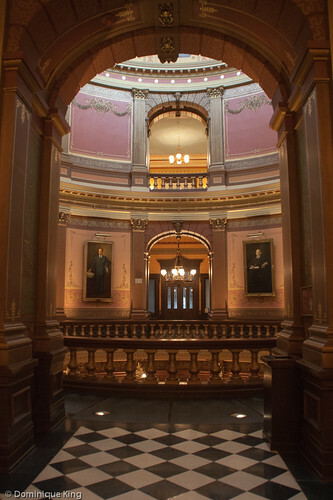 55 Reasons Why Locals Love Grand Rapids-Here's another handy list post, this time about Grand Rapids in western Michigan. We've done a number on the list like the visiting the Grand Rapids Public Museum and watching Whitecaps' baseball games as we visit GRap fairly regularly to visit some of Tim's family, plus we stay there for a few days each fall to take in ArtPrize. Looks like there are a few more things on the list that we need to see one of the next times we visit. 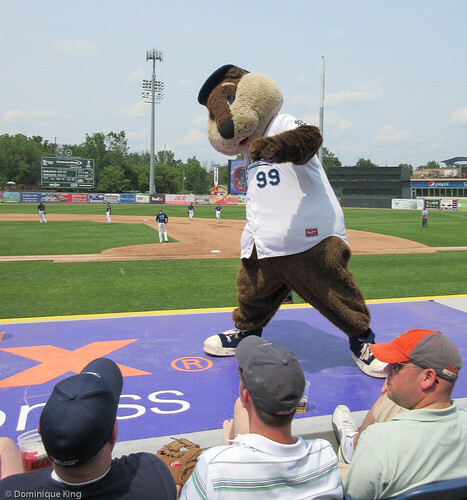 Meanwhile, Check out Melody's post on the My Experience Grand Rapids blog. Carnegie Library in Attica, Indiana-Jessica shares my love of historic Carnegie libraries, and I loved her Little Indiana story about this historic library in central Indiana. 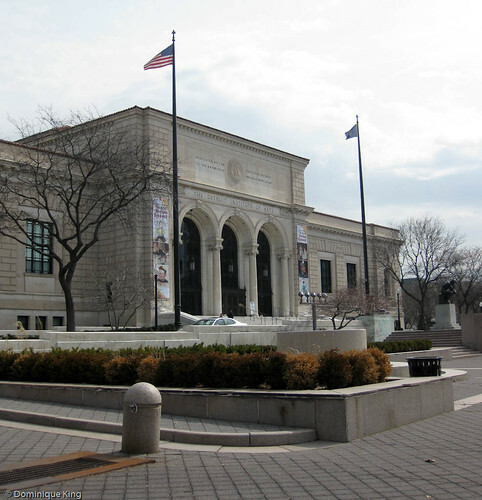 Jessica tells readers that Indiana received the highest number (160) of Carnegie libraries in the nation! 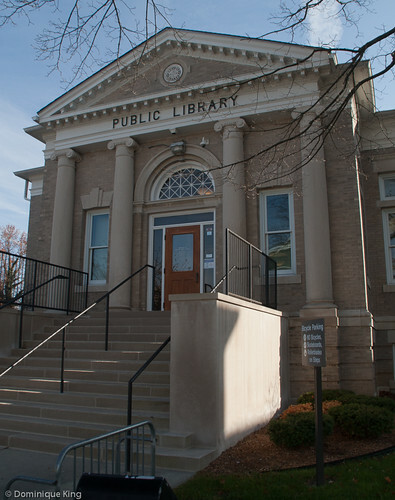 We've visited a few of these historic libraries ourselves in Danville (Indiana), Defiance (Ohio), Sandusky (Ohio) and a former Carnegie building now serving as a restaurant in Carmel (Indiana). 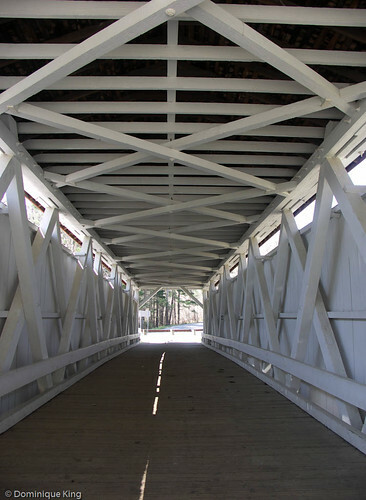 History, Architecture, Sweets Await at Columbus-Did you know that Columbus, Indiana sits at sixth place in the nation for architectural design? Kayleen tells readers of the Indiana Insider blog that the city earned this honor because of it is home to more than 80 buildings and other structures designed by recognized architects (like Eero Saarinen who designed the St. Louis Arch and many works in Michigan like elements of the Cranbrook Educational campus, which includes the Cranbrook Institute of Science). No wonder this city has long been on my Midwest bucket list! The staying power of Old Hickory furniture-Have you ever headed out to Wyoming to visit the Old Faithful geyser and Yellowstone National Park? If you stopped by Old Faithful Inn at the park for a meal, chances are you've dined while sitting in a chair made by Indiana's Old Hickory Furniture Company! Check out this story at Indiana Landmarks' Hidden Gems blog for the story about how this venerable Indiana company created seating, still in use today, for the historic lodge at Yellowstone. 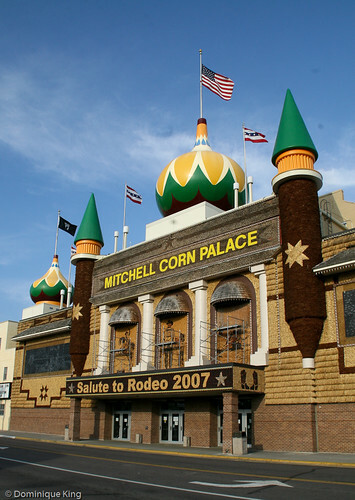 10 fun reasons to visit eastern South Dakota this summer-We managed to check out the Corn Palace during our trip out west a number of years back, but I see that there are plenty of reasons to consider a return trip to eastern South Dakota. 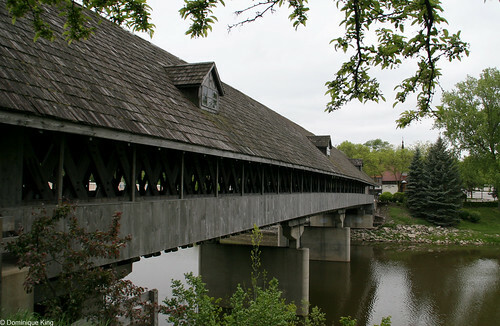 Deb offers ten good reasons that include celebrating the 125th anniversary of the Corn Palace as well as visiting Laura Ingalls Wilder's Little House on the Prairie, taking in the annual Czech Days and visiting the Good Earth State Park. Check the list out at Deb's Just Short of Crazy blog. 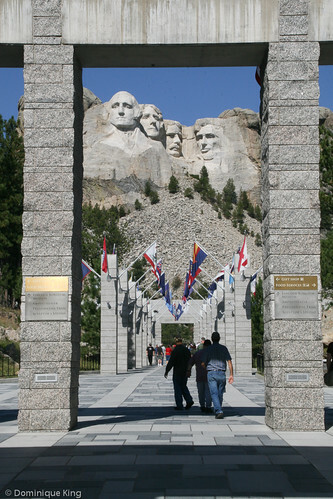 10 Things to do in Nebraska-The Walking Tourists, Tim and Lisa, are back with another handy list of things to do, and this time they cover their home state of Nebraska. We've yet to visit Nebraska beyond a drive through on the way west, but things like on this list like Carhenge and Buffalo Bill Cody's Ranch and the opportunity to see the annual Sandhill Crane migration make a longer visit to this state sound pretty appealing! Sock Monkeys, Women's Baseball and a Victorian Village-Connie shares some of her favorite sites in Rockford, Illinois in her Midwest Wanderer blog. Sock monkeys got their start in Rockford, and the city (like South Bend, Indiana) was home to one of the most beloved teams in the All-American Girls Professional Baseball League. 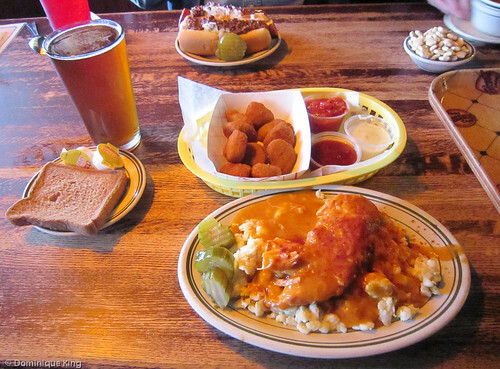 Three Midwest Day Trip Ideas From Minneapolis/St. Paul-There's isn't much we love more than taking a quick day trip out from the Detroit Metro area to supplement the longer trips we're able to take throughout the year. Check out Sara's suggestions on the Travel with Sara blog for quick day trips travelers can take when departing from the Minneapolis/St. Paul area in Minnesota. Waterfalls of the North Shore-Love waterfalls? I do! So I enjoyed reading Beth's round up of waterfall information for cascades along the northern shore of Lake Superior in Wisconsin and Minnesota. Check it out at the Midwest Weekends blog. 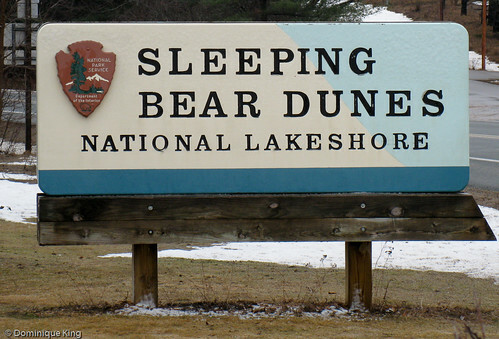 A Drive through Sleeping Bear Dunes-We've visited the Sleeping Bear Dunes National Lakeshore area in northern Michigan numerous times, and I recently finished a five-part series here on Midwest Guest about our adventures in this beautiful region over the years. It was fun, then, to see Connie's take on visiting the park's headquarters in Empire, Michigan and traveling along the park's Pierce Stocking Scenic Drive. Check her story out on the Midwest Wanderer blog.